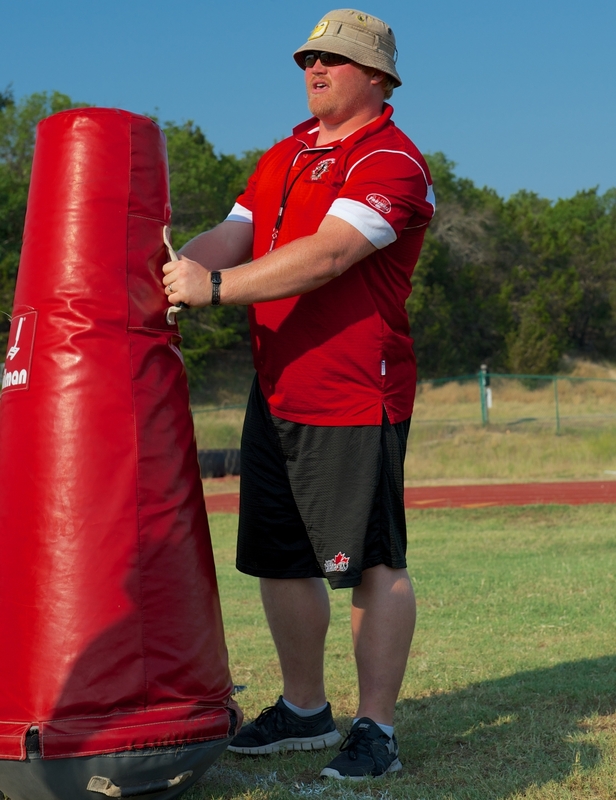 After coaching with the Junior National Team in 2012 and 2014, special teams coordinator and defensive line coach, Brian Guebert is preparing for his third IFAF U-19 World Championship in 2016. 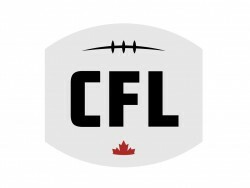 During a career that took him from the 6-a-side high school ranks to the CFL, Guebert’s inspiration to play football came from his uncle, Phil Guebert, who participated in two Vanier Cups with the Saskatchewan Huskies in 1989 and 1990. Their careers would intersect at LCBI, where Phil coached Brian’s high school football team in grades 10 through 12. Although Brian had played touch and 12-a-side tackle football growing up, his later high school years would be where the younger Guebert became introduced to 6-a-side tackle football. Guebert credits 6-a-side football for helping him develop the skills that enabled him play in the CFL. As a 6-a-side high school tackle player, Brian Guebert was a relatively unknown commodity in Saskatchewan football circles. That would soon change after the Football Saskatchewan Senior Bowl, where he was named the game’s top defensive lineman. Out of high school, Brian elected to play junior football for the Saskatoon Hilltops under now legendary coach Tom Sargeant, who’d not only serve as his head coach but also as Guebert’s defensive line coach. Brian transitioned to 12-a-side football and found success despite being a shorter, stout defensive lineman. On his way to Hilltops practice, Guebert passed by Aden Bowman Collegiate and decided to volunteer as a coach on the high school’s football team with hopes of one day becoming a teacher and by extension a coach. He’d spend nearly a decade coaching the program and as it turned out, his coaching experience paid off on the field. During his time with the Hilltops, Guebert won back-to-back-to-back CJFL national championships (2001, 2002 and 2003). In those last two years, he was selected as the most outstanding defensive lineman in the Prairie Football Conference. Following junior football, Guebert moved on to the university ranks with the Saskatchewan Huskies, where he’d continue to thrive. He one-upped his uncle Phil, appearing in three Vanier Cups (2004, 2005 and 2006), in addition to twice being selected as a Canada West conference all-star (2004 and 2006) as well as an all-Canadian in 2006. Brian’s experiences would come full-circle in the classroom when as a master’s student he had an eye opening experience while watching minor football. It would be Brian’s experience playing 6-a-side and seeing its benefits carry over into his post-secondary career, that lead him to investigate the developmental benefits of 6-a-side football. His research, in addition to a job with Football Saskatchewan, would go on to fuel the football development system in Saskatchewan and extend across Canada. He’s since become the commissioner of the Saskatoon Minor Football Association and has helped establish a flourishing 6-a-side league among many other things. Guebert (#93) during warm-ups at the 2011 worlds. 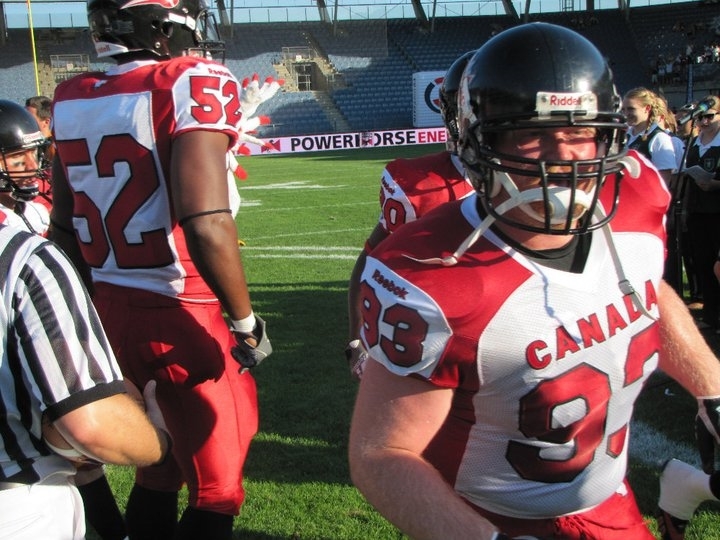 Following his CFL playing career, while still working at Football Saskatchewan as a nearly thirty-year-old, Brian Guebert played for Canada at the 2011 IFAF Senior World Championship in Austria. The experience would open his eyes to international football. Canada started the tournament against France, and Brian quickly had a change of heart. The team’s road to earning an eventual silver medal would also include host Austria, a thrilling come- from-behind 31-27 semi-final win against Japan before falling to the U.S. in the finals. As Guebert continued his football life as a coach, a trio of experiences led Brian on a path to become a full-time coach. While his Team Canada experience in 2011 served as an introduction to the international game, it also impacted Guebert’s coaching career as the staff included some of the CIS’ top names including Greg Marshall, Steve Sumarah, Blake Nill, Brian Towriss, Larry Haylor, Pat Tracey and Jeff Cummins. Following the eye-opening experience of playing on the world’s stage, Guebert turned his attention to coaching the next generation of Canadian talent as part of the 2012 Junior National Team coaching staff. 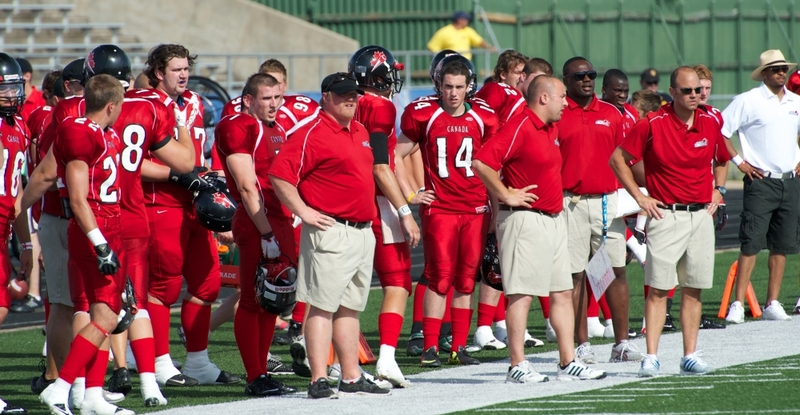 It would all come together for Brian following Canada’s gold medal win against the U.S. at the 2012 IFAF U19 World Championship in Austin. Texas. Guebert accepted a full-time coaching job at his alma mater as special teams coordinator and defensive line coach, prior to the 2013 season. 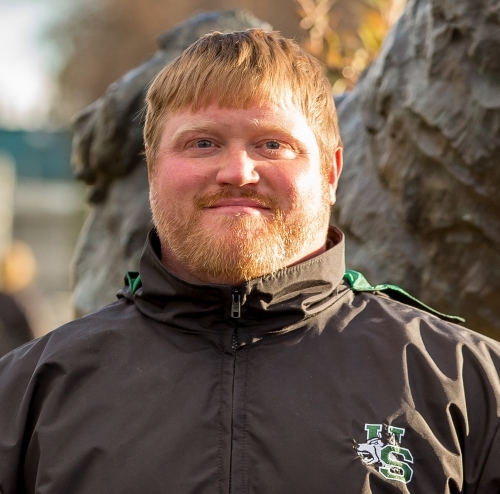 In a few short years, Brian went from playing in the CFL and coaching high school football to becoming a full-time coach at the University of Saskatchewan. He drew on many key experiences when building his coaching philosophy. One of his first major influences, following his uncle Phil, was Tom Sargeant of the Hilltops who helped Brian better understand how to motivate players. As both a player and now a coach at the U of S, Guebert has also had the chance to learn from the winningest coach in CIS history, Brian Towriss. During his two years in the CFL with the Winnipeg Blue Bombers, Guebert also had the chance to play for then head coach, Doug Barrie. During his first term with the Junior National Team in 2012, Brian got to learn from current Montreal Alouettes defensive coordinator, Noel Thorpe who was serving as Team Canada’s head coach and Montreal Carabins defensive coordinator at the time. A final key influencer was Brian’s time on the Senior National Team. Amongst the distinguished coaches, head coach and Western great, Larry Haylor stood out. A veteran of international football as both a player and now a coach, Guebert has seen the caliber of play continue to improve at each subsequent world championship. Heading into his third U19 World Championship, Guebert has also noticed an uptick in the caliber of play at home and its impact on putting together the national team. One of the aspects Brian enjoys most about his time on the national team has been seeing the growth of players in the national team program, as they transition from the Canada Cup to the U18, U19 and Junior National Teams. Following the International Bowl, Guebert and the rest of the coaching staff will be faced with some more tough choices as they select 45 players from the U18 and U19 national teams to represent Canada at the 2016 IFAF U19 World Championship. That process begins with the 2016 International Bowl series, taking place January 31-February 5 at AT&T Stadium, home of the Dallas Cowboys, in Arlington, Texas.